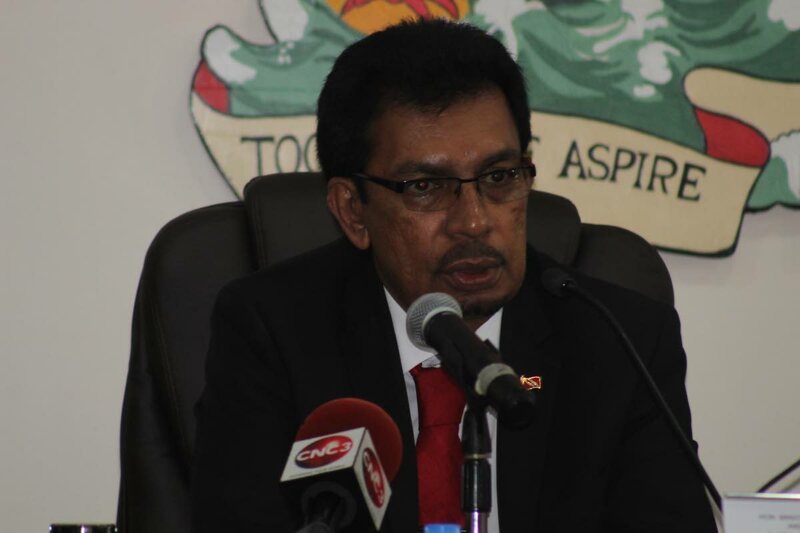 Minister of Local Gvernment Kazim Hosein at this week's statutory meeting of Port-of-Spain City Corporation. PHOTO BY STEFFON DOUGLAS. Cabinet has approved a recommendation from the Ministry of Rural Development and Local Government for garbage collection contractors to be sourced from within the 14 municipal, regional and borough corporations. “So that a man with one truck, two trucks will be given the opportunity to provide a service to the corporations and share in the pie and not only the man with 25 trucks,” said Minister of Rural Development and Local Government Kazim Hosein. Hosein’s announcement, made at yesterday’s statutory meeting of the Port of Spain City Council, was welcomed by the members. He also noted that the national clean up campaign spearheaded by his ministry earlier this year, saved the State $150 million. Equipment and certain essential services in the removal of the garbage in the campaign were done by volunteers and corporate citizens. Street signage in Port of Spain and other corporations, he said, will begin in early January. While travelling through the city and other corporations, he said, he noted that signage was absent in many. On the issue of flooding, he said, he would like the council to tackle it during the upcoming dry season. He said he did not know if the flooding had to do with broken drains, the drainage system or the tides, but for every problem, he said, there was a solution. In terms of dealing with the homeless on the streets of Port of Spain which the council said was the responsibility of the Ministry of Social Development and Family Affairs, Hosein advised that the council use the volunteer network to advance the issue. Reply to "Corporation to hire contractors from within"